Silver Spring's Lyttonsville neighborhood has a rich history, but urban renewal nearly destroyed it. With the Purple Line coming, this historically-black community could get a second chance, but not everybody looks forward to it. Urban renewal nearly destroyed Lyttonsville in the 1970s. Photo by Alan Bowser. Located west of the Red Line tracks from downtown Silver Spring, Lyttonsville is one of Montgomery County's oldest neighborhoods, founded in 1853 by freed slave Samuel Lytton. The area could soon be home to a Purple Line station if the light-rail line between Bethesda and New Carrollton opens as scheduled in 2022. 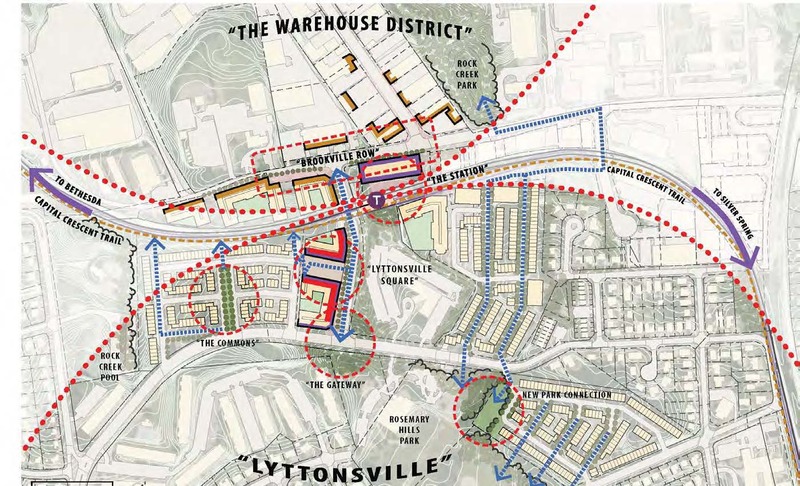 Over the past two years, Montgomery County planners crafted a vision for a small town center around the future Lyttonsville station, bringing affordable housing and retail options the community lacks. Some residents are deeply skeptical of what's called the Greater Lyttonsville Sector Plan, though it could restore the town center Lyttonsville lost long ago. During the early 20th century, a thriving main street developed along Brookville Road, including schools, churches, and a cemetery. As surrounding areas became suburban neighborhoods exclusively for white residents, the black Lyttonsville community lacked public services like running water and paved roads. 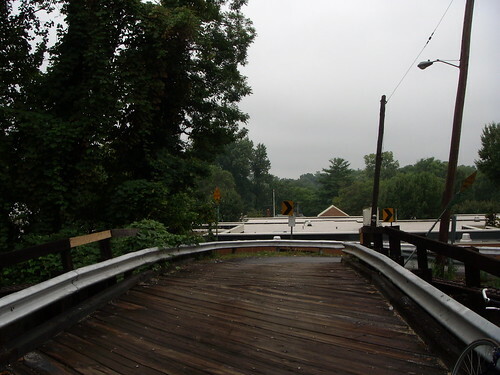 For decades, its only connection to Silver Spring was a wooden, one-lane bridge that remains today. In the 1970s, the county seized much of the area, destroying Lyttonsville's main street and replacing much of it with an industrial park, a Ride On bus lot, and storage for the Washington Suburban Sanitary Commission. 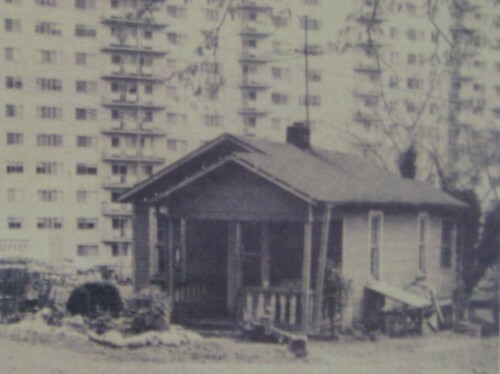 Many of the older homes were replaced with large garden apartment complexes. This wooden bridge was once the only way in and out of Lyttonsville. Photo by the author. 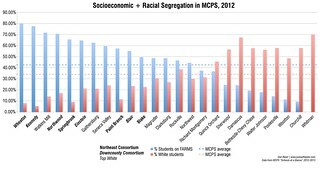 Today, Lyttonsville is a racially diverse community, and sought-after for its location between Silver Spring and Bethesda and being in the vaunted Bethesda-Chevy Chase school catchment. But one out of ten residents lives in poverty, compared to 6.9% of residents countywide. Lyttonsville is hard to access by any form of transportation, isolating its residents from nearby jobs. Some residents claim the county's plan will continue a legacy of destructive planning decisions. They're worried about traffic and density, about getting redistricted out of the B-CC cluster, and that the area's affordable apartments could get replaced with luxury housing. Others are wary of the Purple Line after fighting off plans to locate a storage yard in the neighborhood. Charlotte Coffield, who grew up in Lyttonsville during segregation and whose sister Gwendolyn fought to bring services to the area (the local community center is named for her), has emerged as one of the biggest critics. "All [Purple Line] stations do not need to be town centers," she wrote in a letter to the county planning board. "The proposed density would destroy the stable character and balance of our ethnically diverse neighborhood." Last week, the Lyttonsville Community Civic Association, where she is president, voted to accept no more than 400 new homes in the area. Bethesda-based developer EYA, which is currently building townhomes next to the future Chevy Chase Lake Purple Line station, has an alternate proposal for Lyttonsville that could address residents' concerns. The biggest land parcels in the area are owned by several different property owners, including multiple government agencies, each with their own plans. Some want to build lots of new homes, while WSSC has a large site that they intend to leave alone. EYA has reached out to several landowners about coordinating, allowing development on a combined 33-acre site to happen together. First, they would partner with WSSC to build several hundred affordable apartments and townhomes on their property. Residents of existing apartments could move there first without getting displaced. Then, EYA would partner with the two non-profits who own the affordable apartments to redevelop them with market-rate townhomes. The county would restrict building heights to 70 feet. Next to the Lyttonsville station itself, EYA envisions a plaza surrounded by market-rate apartments, 30,000 square feet of retail space (about half the size of a Giant supermarket), and a small business incubator modeled on Baltimore's Open Works that would offer job training to local residents. Public art would promote the area's history, while Rosemary Hills Park would get a small addition. Local streets where drivers speed today would get traffic calming and new pedestrian and bicycle connections. The $500 million proposal addresses most of the neighbors' concerns. EYA seeks to build 1200 new homes on the land, compared to the nearly 1700 the county would allow there. (What Montgomery County wants to allow in Lyttonsville is still less dense than plans for other Purple Line stations, including Long Branch and Chevy Chase Lake.) One-third of the new homes would be set aside for low-income households, and every existing affordable apartment would be replaced. Lyttonsville's future Purple Line station. 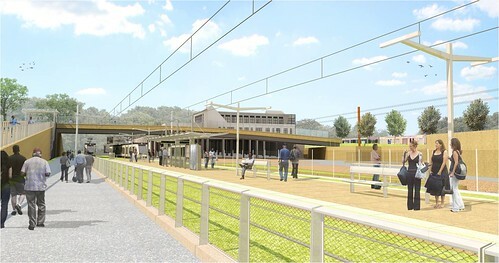 Image from MTA. "The county can leave a legacy for how you can build Smart Growth," says Evan Goldman, VP of Land Acquisition and Development at EYA, stressing that the private development could help pay for the public amenities neighbors want. "There's only so much [public benefits] this can afford," he adds. "If you reduce the units so you can't pay for the benefits, the public benefits won't come." Can the proposal actually work? Residents I've spoken to like EYA's proposal, but are skeptical if it can happen. This project could have a transformative effect on Lyttonsville, but only if all of these partners agree to it. Recent experience with moving a school bus lot in Shady Grove suggests finding new locations for WSSC's facility may be difficult. "If EYA can execute its plan, there are more upsides," says resident Abe Saffer, "but since they don't have any letters of intent or partnerships firmly in place, I remain nervous." The Montgomery County Council will hold two public hearings on the Lyttonsville Sector Plan next week in Rockville. Here's where you can sign up. If the plan is approved, the county would then have to approve EYA's proposal, which could then start construction in 2020 and take 10 to 15 years to get built. From your blog post: "Lyttonsville is hard to access by any form of transportation, isolating its residents from nearby jobs." Dan, I pointed out this inaccurate statement to you before but it was deleted so I thought I would post it again because it really should be addressed for accuracy. 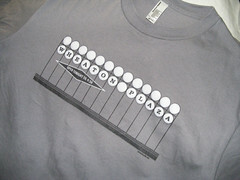 The Ride On #2 bus goes through Lyttonsville. Is not hard to access and is not isolated form jobs.